Firefighter Black Defense Pen | BUDK.com - Knives & Swords At The Lowest Prices! A personal protection weapon that breaks glass and actually writes! 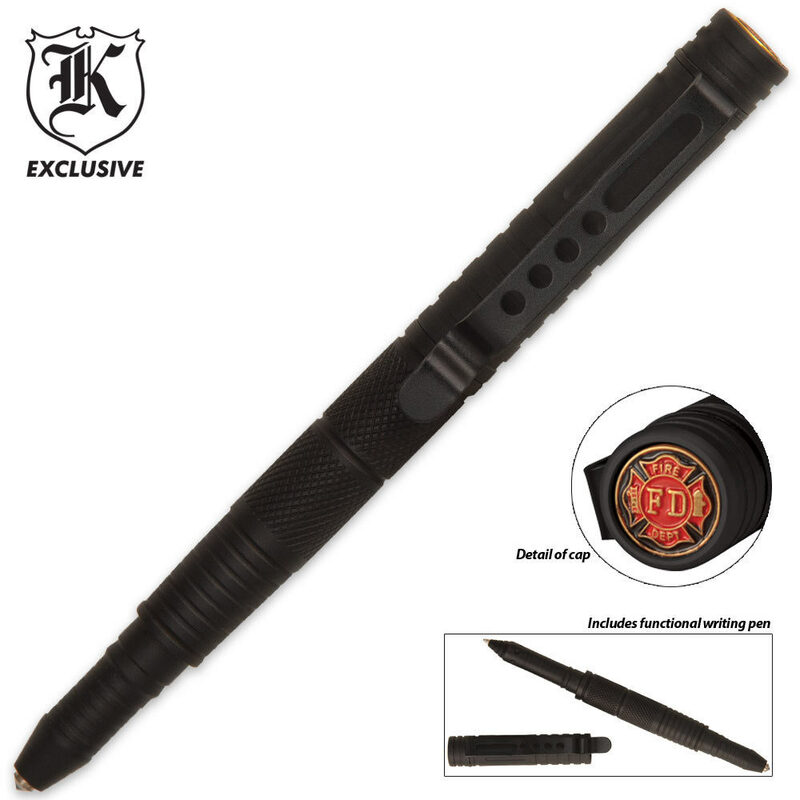 This tactical pen is crafted of black aluminum and writes in black ink. Features an aggressively pointed end as well as a crusher impact crown and glass breaker. 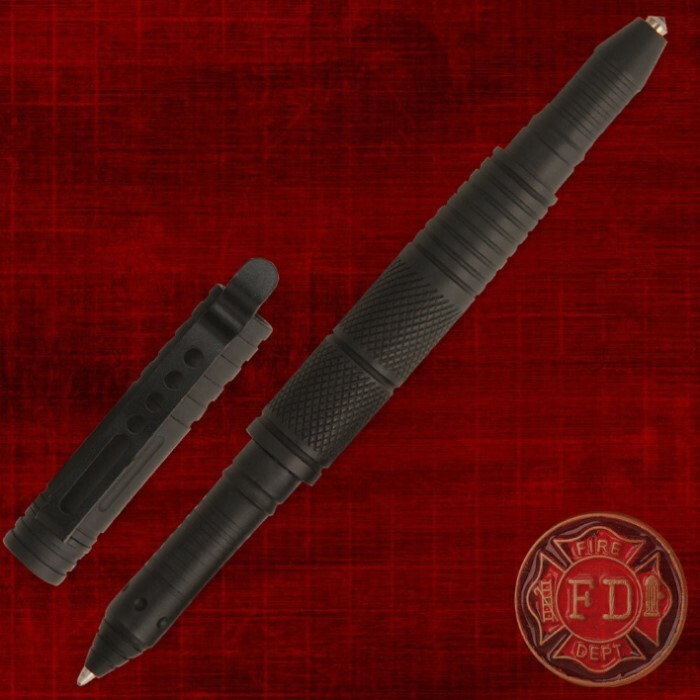 The etched design and pocket clip provide a secure grip for writing or defending. Approximately 6" overall. I bought this to carry in my car mainly as a inexpensive device to break glass in an emergency. It could also be used similar to a kubotan. I liked it enough that I bought one for my wife and my son to carry in their cars. This is a quality pen and self defense implement. Highly recommended...would hate to get hit with this thing. This is a great product. I little heavy in the pocket as it should be. Very durable and writes well. I use it every day. I've bought this because it was cheap and it does break glass and it's a pen, but it just stays in my dresser.. Til there is a fire.